Atonix Digital offers products to simplify asset management by putting your data to work – to optimize performance, improve reliability, detect emerging risks and provide an easily justifiable return on your investment. Matt’s team of subject matter experts apply ASSET360 for the unique benefit of each applied market, and the customer support team ensures that all clients are achieving value. 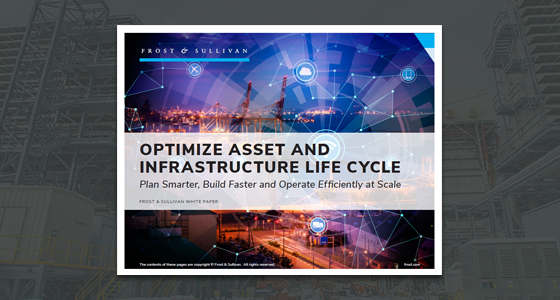 At least 25% of the 60 billion connected assets will be present within the industrial environments by 2024. Unfortunately, today's asset lifecycle management practice is siloed and broken. Customers need to aspire to simplify the way they engineer, build, operate and manage diverse asset classes on a continuous improvement basis. As technology refresh cycles shorten, customers face an imperative to implement with foresight today. Atonix Digital | A Black & Veatch Company would like permission to contact you by email or phone (depending on the information you provided above) and if you agree, Energy Central will securely deliver your information to Atonix Digital | A Black & Veatch Company. If you choose to not share your information, you can still access this article or resource. Yes, I consent to allow Atonix Digital | A Black & Veatch Company to communicate with me. This information will only be used by Atonix Digital | A Black & Veatch Company to contact you about their services. Changing landscape of utility industry!